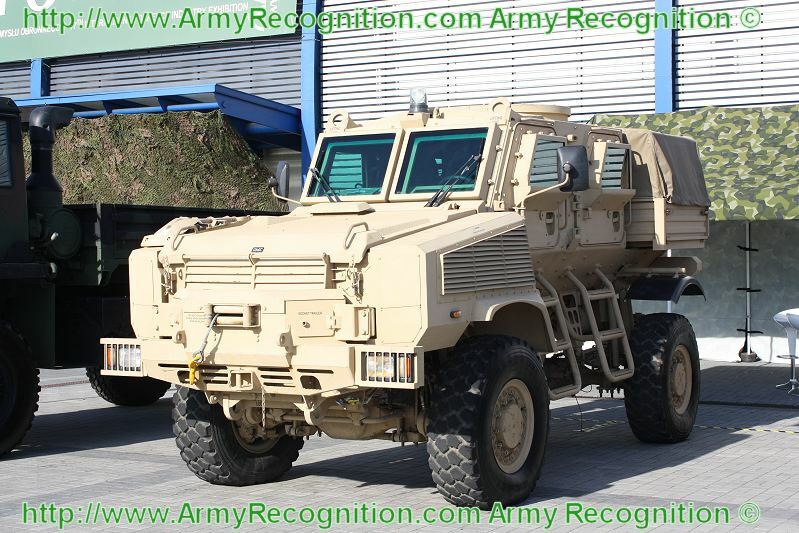 The RG31 mk5 is a 4×4 armoured mine-protected personnel carrier vehicle (MPV) developed by BAE Systems in South Africa. The mk5 is a standard variant in the RG-31 family and specially designed for resisting improvised explosives and mines. The vehicle can accommodate a crew of ten members – nine soldiers and one driver. The RG31 mk5 vehicle first went into service in early 2006. It has a combat mass of 17,000kg, including a 3,700kg payload capacity and an operational range of 900km.